Aloha Dave! 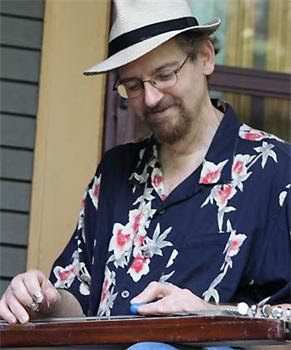 - A tribute show honoring steel guitarist Dave Giegerich will be held in Baltimore this Friday evening. Dave passed away last December. Performers include The Hula Monsters, Smooth Kentucky, Dede Wyland, Randy Barrett and Mama Tried, Tracey Eldridge and the Flying Aces, Stoney Point, Arty Hill, and Karen Collins. The audience is invited to wear Hawaiian shirts in honor of Dave.